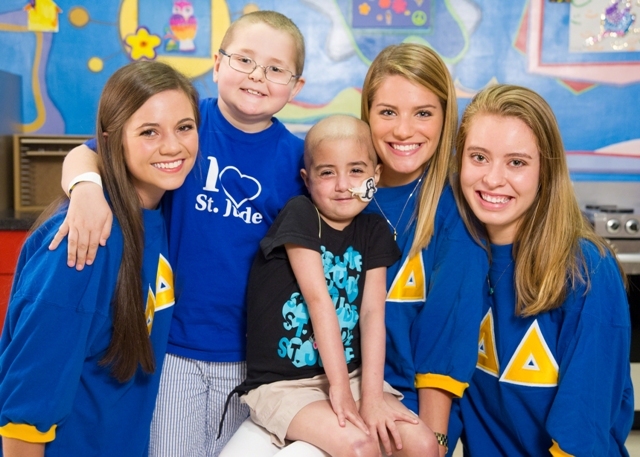 Tri Delta has raised over $55M for St. Jude since their philanthropic partnership began. Tri Delta committed to raising $60m for St. Jude’s children hospital which famously deals with children fighting cancer and other life-threatening diseases. The partnership between Tri Delta and St Jude’s children’s hospital was formed in 1999 and stands to this day. Recently, in 2014 Tri Delta committed to raising $60m in just 10 years and have already raised over half of their goal in only 4 years. This commitment is the single largest pledge of funding any St Jude’s partner has ever attempted and so far, is looking like it could easily be successful. Tri Delta as a national organization includes chapters at 141 institutes as well as boasting over 200,000 living members, making it one of the largest sororities in the country. Tri Delta have had a long and successful 19-year history of being partners with St Jude and continually achieving success in raising large amounts of money for their philanthropic partner. In their first year being partners with the children’s hospital over $44,000 was raised and ever since then, the numbers have continually increased. In 2002 $1m was raised in 3 years, in 2006 Tri delta smashed their promise of raising $10m in 10 years by managing to succeed in only 4. In 2010 $15m was raised in 3.5 years, 1.5 years earlier than originally planned. The success of all these previous fundraising goals lead to the 2014 ongoing commitment of $60m of which Tri Delta have so far impressively raised over $30m. The Tri Delta chapter at Delta State has played an active role in fundraising for St Jude and have held events in on campus and in the union, such as their bake sales, of which proceeds are directed towards St Jude. Members of Tri Delta here at Delta State have also been involved through ‘Delta Days’ on which certain money spent at different outlets will commit to having a portion of their profits sent towards the St Jude fundraising initiative. Recently Tri Delta partnered with Delta Dairy to have 15% of all ice cream sales go to St Jude. In recognition of all their success as one of the leading philanthropic partners of the charity, the St Jude’s hospital in Memphis has their own ‘Tri Delta’ housing which they named after the sorority in honor of their partnership. This housing is a short term facility at the hospital and is often visited by Tri Delta girls who come to visit patients and parents as well as help out on the wing. Overall, since 1999, Tri Delta has raised over $55m for St Jude and this has, in part happened through Delta States Campus as well as many others around the country. Hopefully the fundraising will continue to see success after success and if so, the outstanding goal of raising $60m in only 10 years could be a reality sooner rather than later!